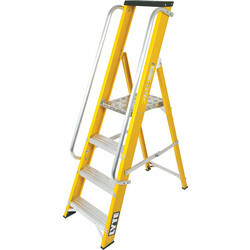 Reach heights safely and effectively to complete trade or DIY jobs with the Toolstation range of step ladders. 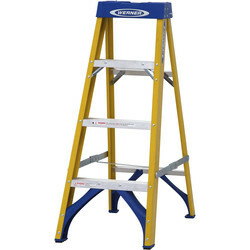 Browse step ladders available in sizes up to 4.08m with 12 treads, work stations or standing platforms. 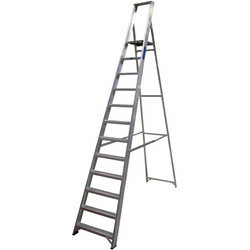 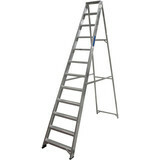 We have a range of step ladders from high-quality brands, such as Werner, Lyte and Youngman. 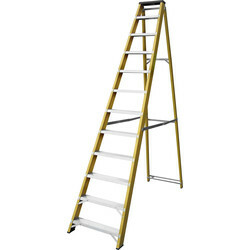 Step ladders can vary, with different tread selections to reach different heights. 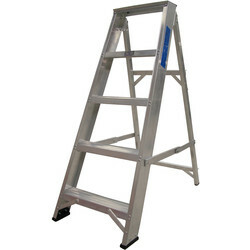 They also vary by material, depending if you need a light aluminium step ladder or a non-conductive step ladder for electrical work. 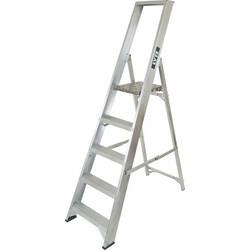 For safety, all our step ladders are certified to BS EN131 standards. 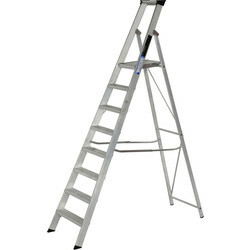 Our range of Lyte ladders are available in range of styles, including heavy duty, industrial swing back and platform step ladders. 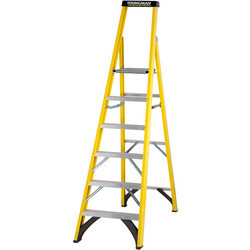 The Lyte heavy duty fibreglass platform step ladder includes a plastic tool tray to keep your equipment organised when on the job. 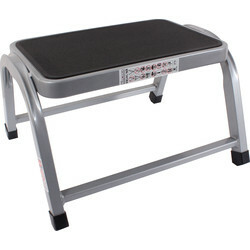 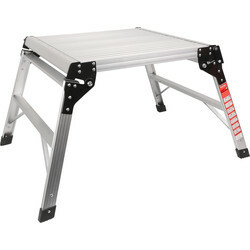 It also has an optional safety rail to help stabilize yourself when needed. 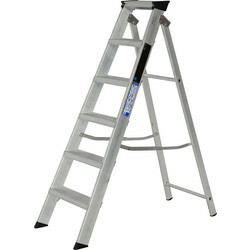 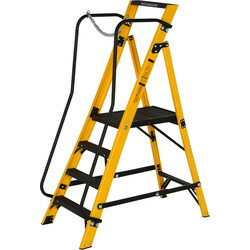 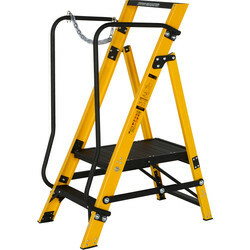 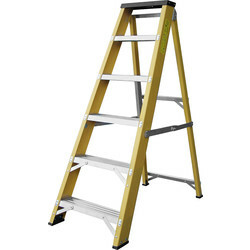 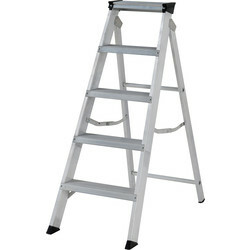 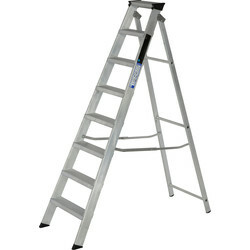 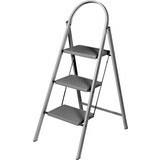 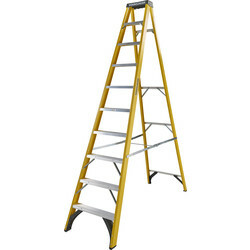 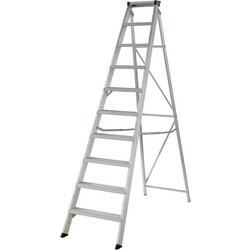 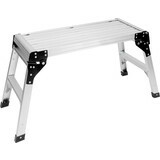 We stock step ladders for any trade, including electricians. 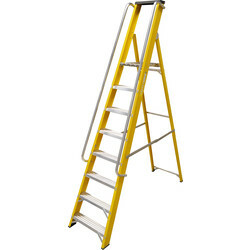 Step ladders such as the Youngman fibreglass platform step ladder is ideal for working with electricity, as its non-conductive fibreglass stiles help to prevent any electrical accidents. 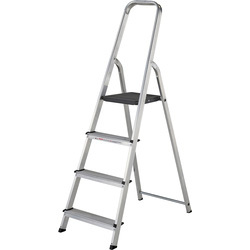 This step ladder comes with a large platform to provide a comfortable work area an integrated tool tray to keep tools organised on the ladder. 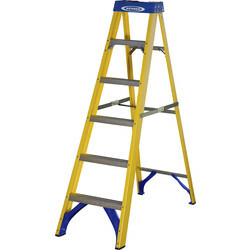 For professional and domestic use, opt for the Werner high step ladder with handrail and wide non-slip treads. 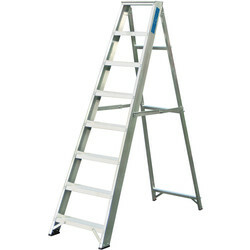 For builders and tradesmen, a heavy duty step ladder such as the Industrial Builders step ladder is ideal for frequent work due to its broad base for enhanced stability. 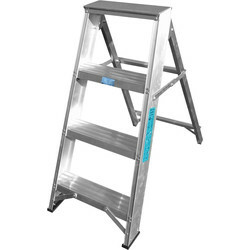 Alternatively, the Werner work station platform step ladder has a maximum safe working load of 23.6 stone and an extra-large standing platform, 50% bigger than standard stepladders. 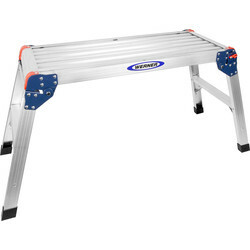 Spend over £10 for free delivery or click and collect at your nearest Toolstation branch.